Did you know that more than seventy percent of Porsche vehicles ever built are still on the road today? Made in Germany and built with the legendary quality that’s engineered to deliver decades of high performance, it’s no wonder these vehicles are cherished classics. If you’re the proud owner of a vintage masterpiece that’s not quite ready for the road, the Porsche Certified Technicians at Porsche Fremont can help restore and repair your classic Porsche. From oil to shocks, the components of your classic Porsche are designed to maximize performance. Aftermarket parts from third-party sellers simply can’t meet the demands of a Porsche, regardless of age. A perfect fit speaks to both the quality and aesthetic of the Porsche name, and aftermarket parts don’t fit as snuggly as OEM components, leaving you vulnerable to poor performance or worse. At Porsche Fremont, we know it’s the small details that complete a vintage Porsche, such as original hub caps or Porsche crests. That’s why we use only genuine parts. With us, you can rest assured that every repair will turn out exactly as expected. Along with having parts custom-made to work with your timeless model, only Porsche Certified Technicians have the skills and training to repair your vehicle to the exacting standards of the manufacturer. We can inspect, repair, and replace components to bring them back to the vitality of their youth. Don’t trust these delicate repairs to just anyone; insist on Porsche Certified Technicians. Our team is comprised of experts who know what to look for on any given Porsche model, and can catch wear-and-tear and other potential problems less qualified mechanics would surely miss. 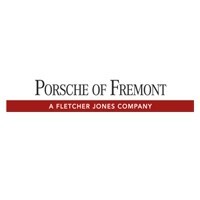 Ready to take your classic Porsche out of the garage and get back on Palo Alto and San Jose roadways? Get in touch with the skilled technicians at Porsche Fremont for all your classic Porsche repairs! Contact our service center at (510) 279-7060 and get one step closer to having your beloved Porsche repaired and ready for action.